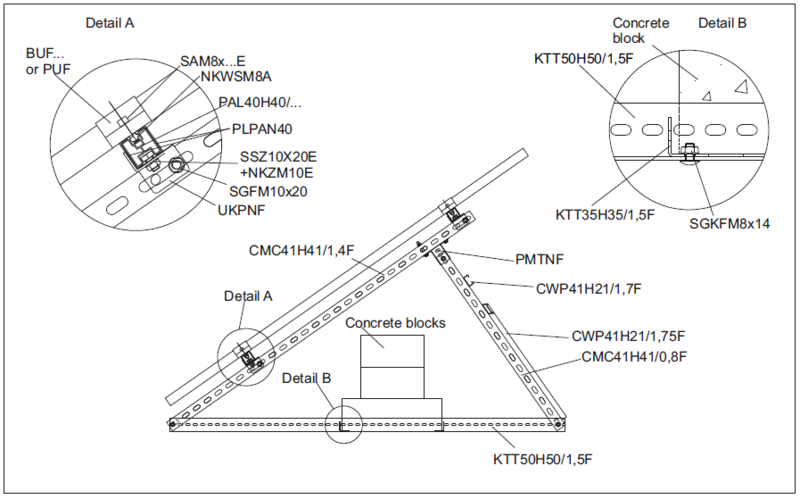 Mounting structure tested for strength parameters. 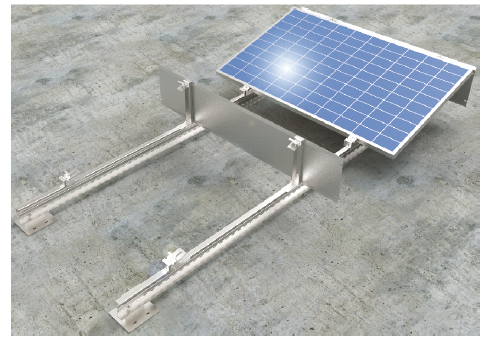 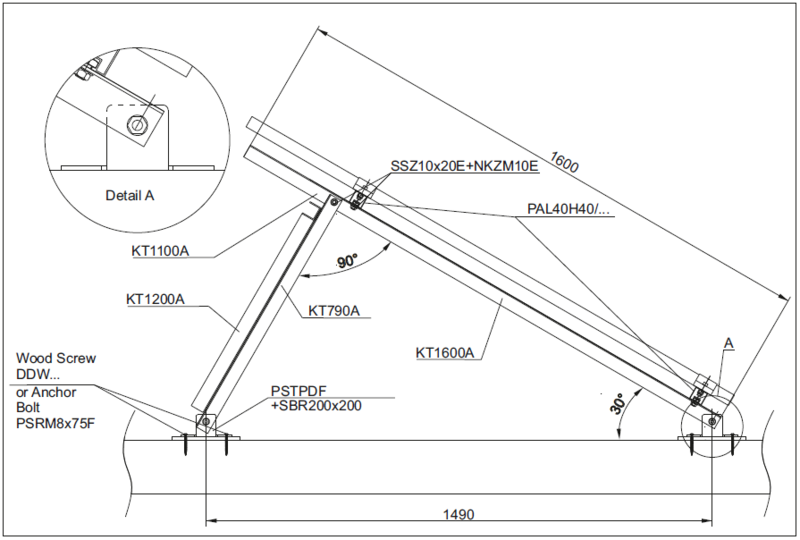 Mounting structure tested for strength parameters..
on an inclined roof (maximum permissible unit load 550 kg/m²). 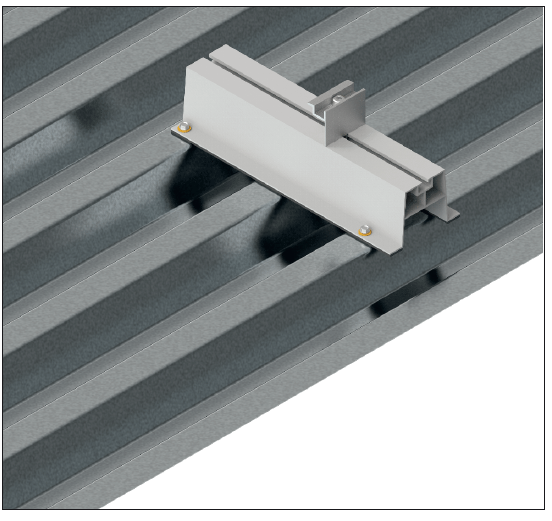 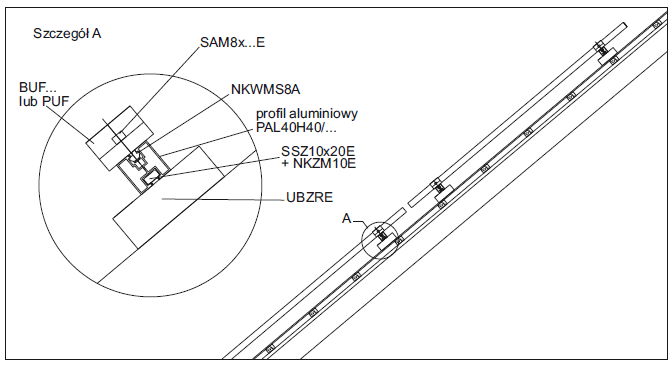 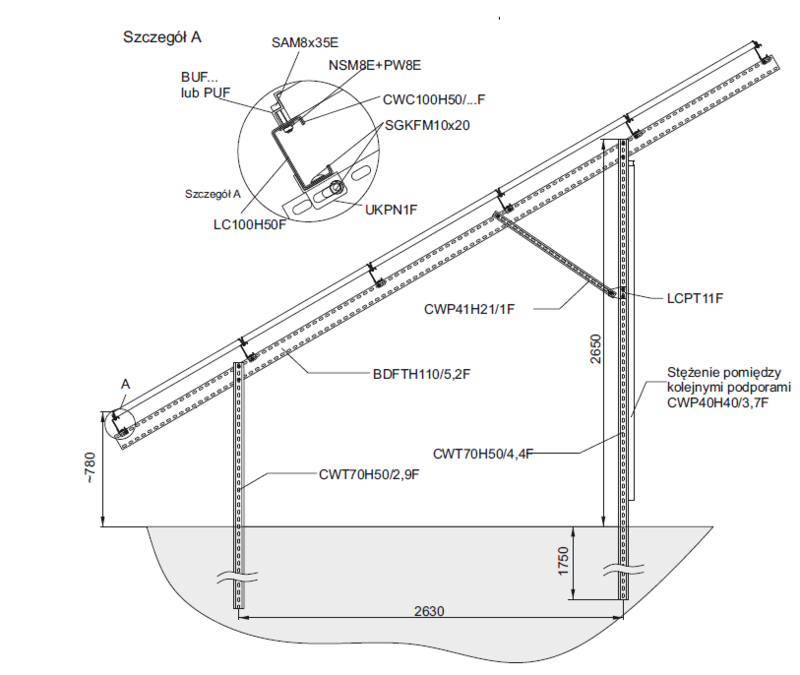 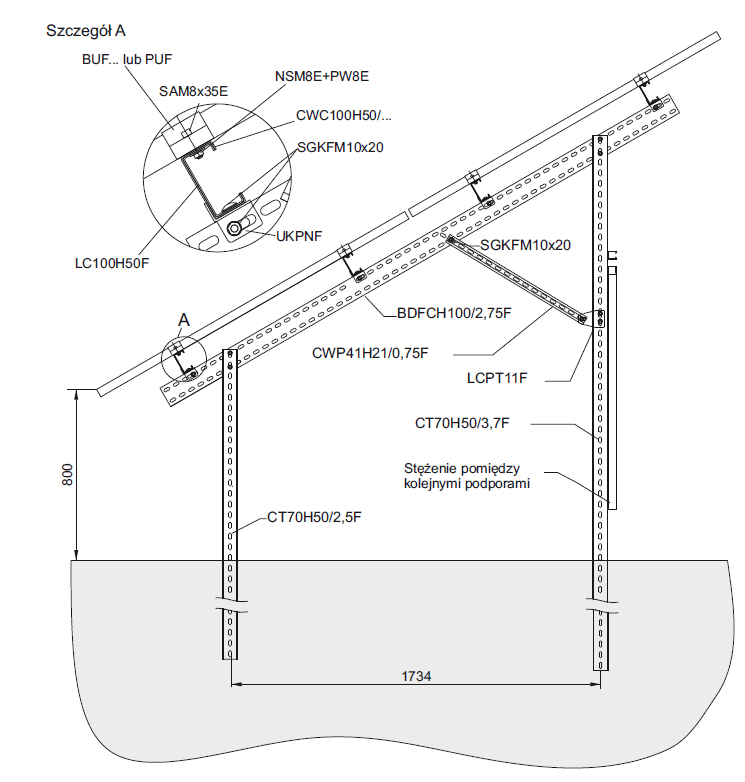 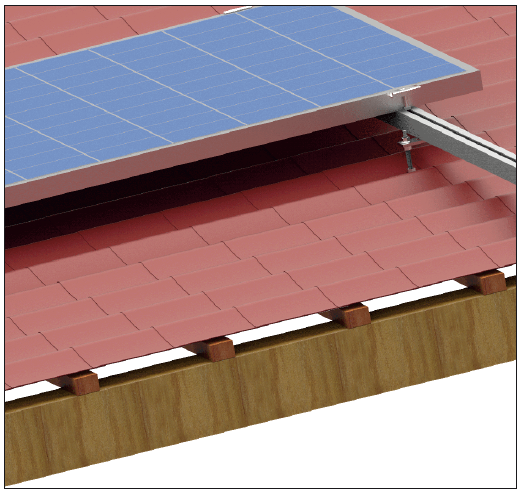 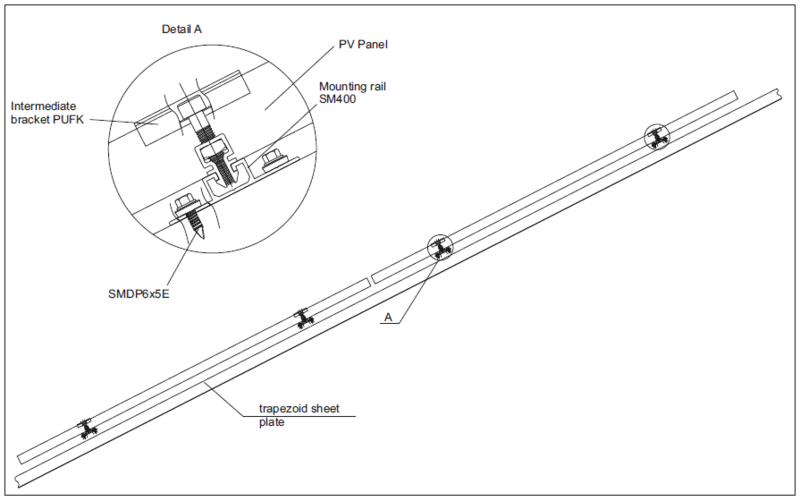 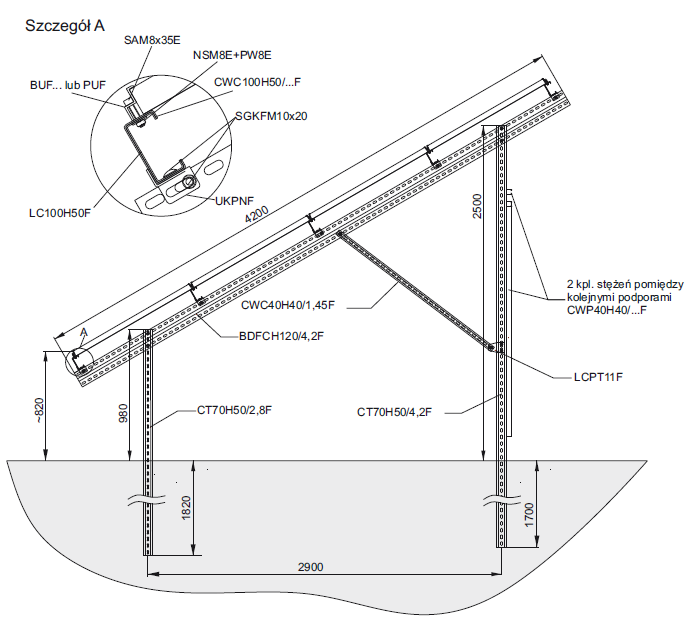 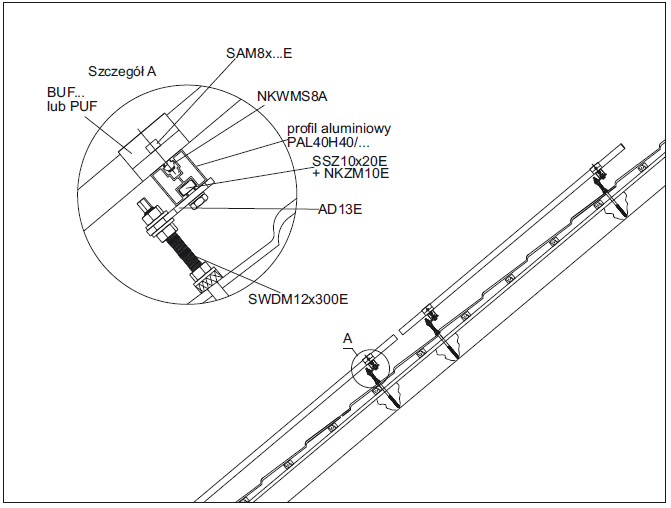 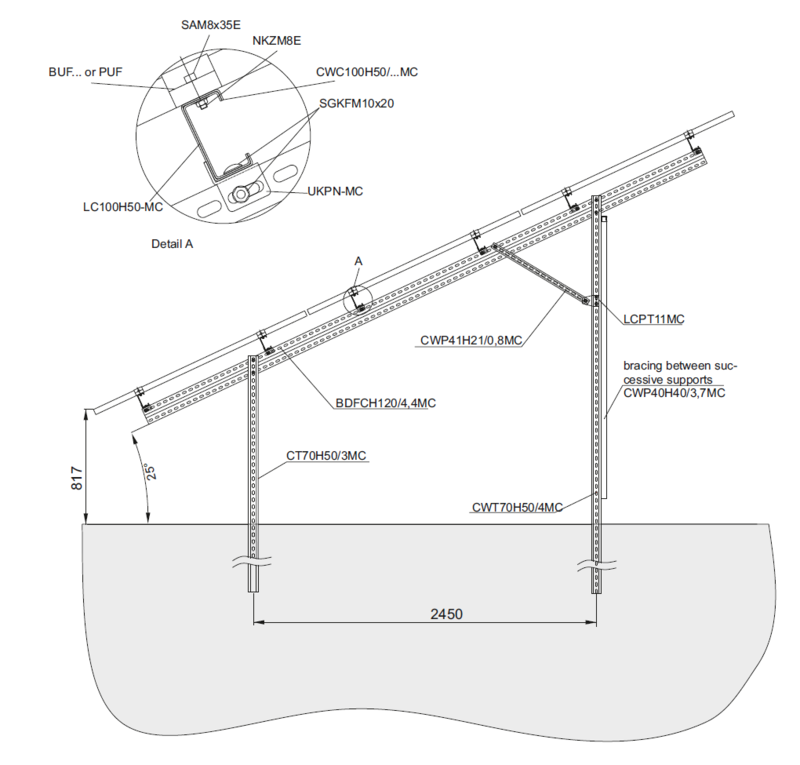 inclined roof (maximum permissible unit load 550 kg/m²). 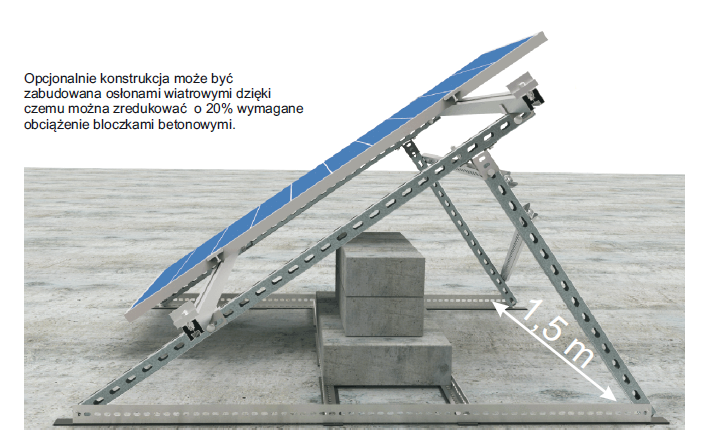  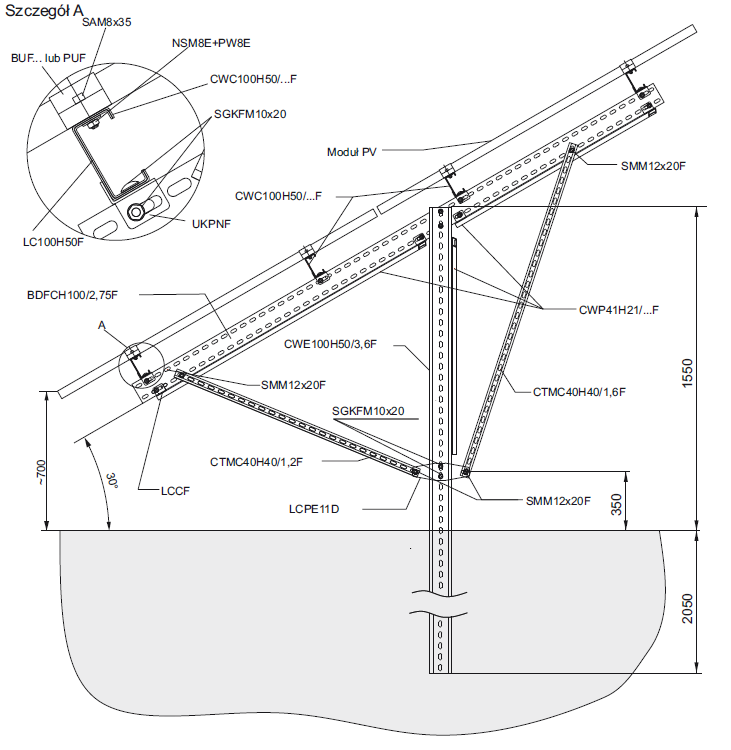 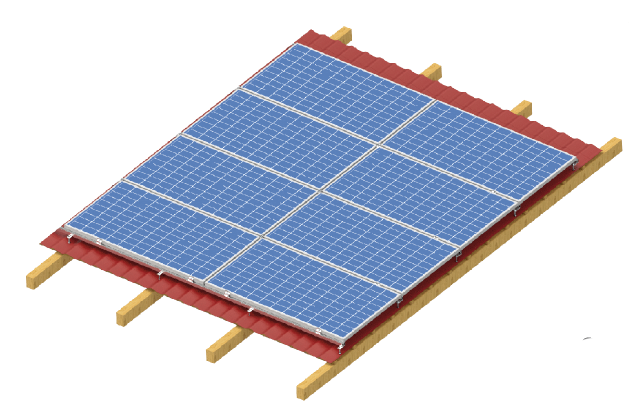 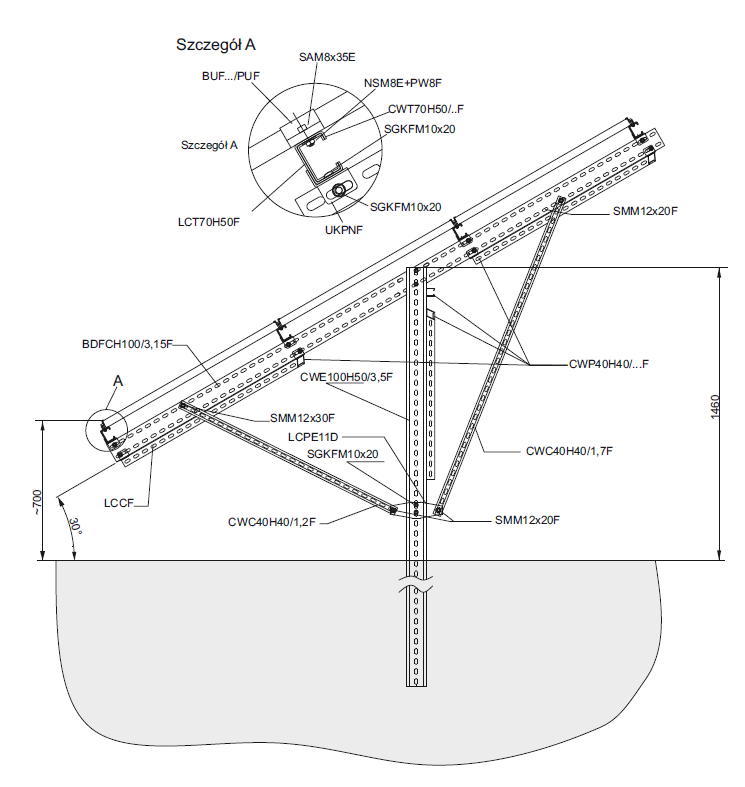 roof (maximum permissible unit load 550 kg/m²). 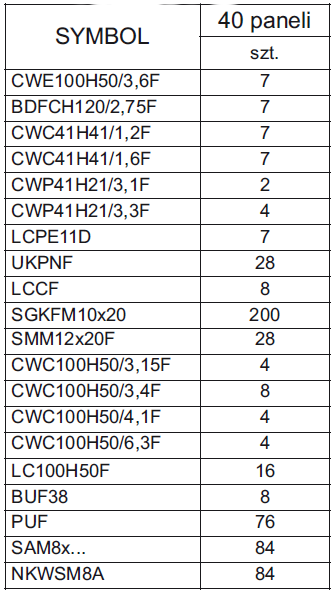 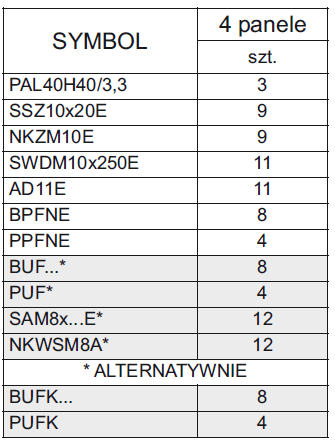 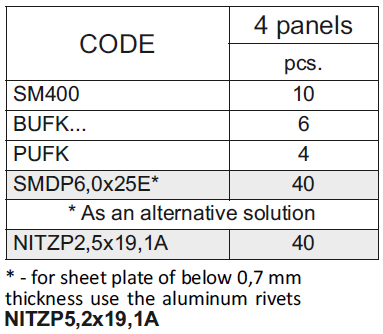 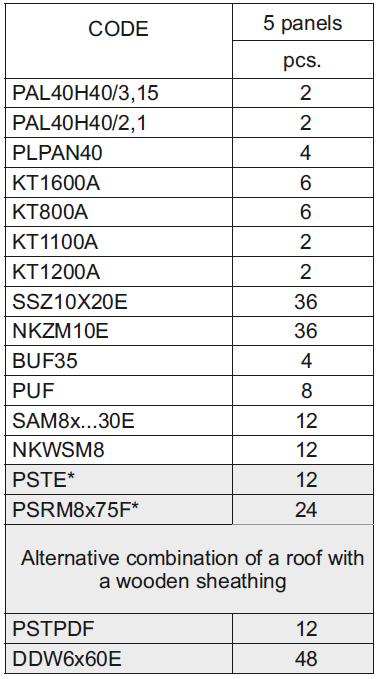 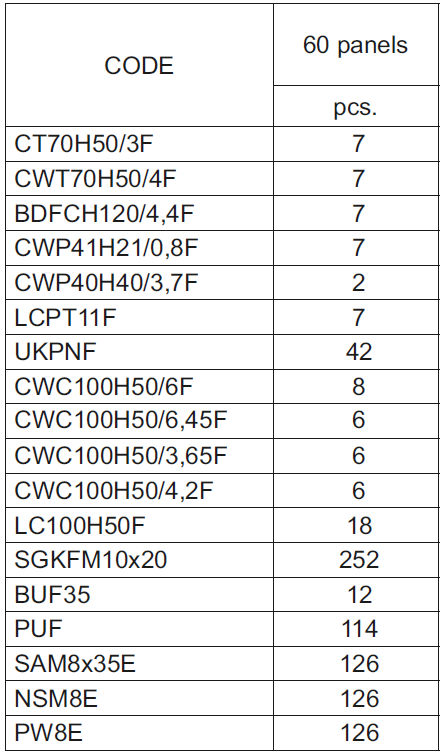 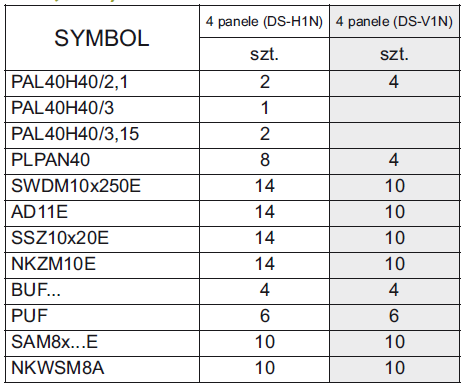 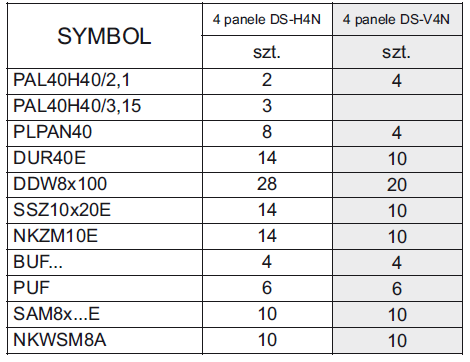 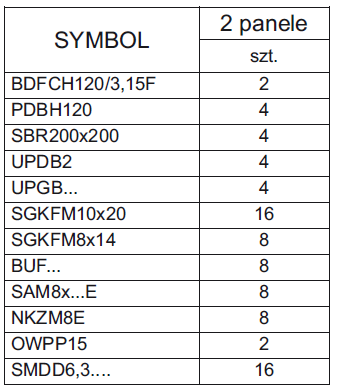 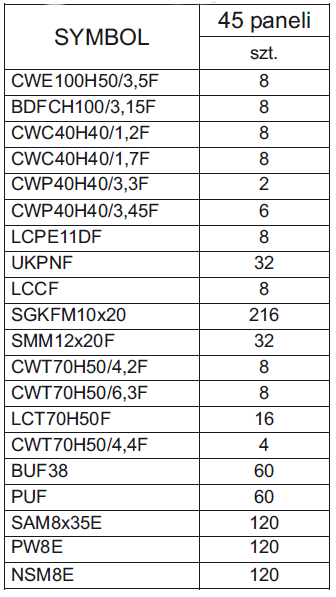 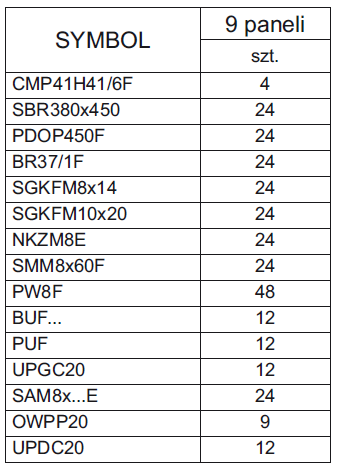 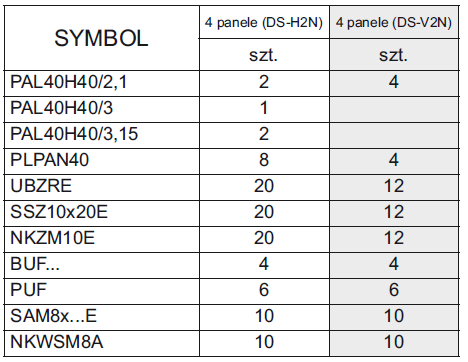 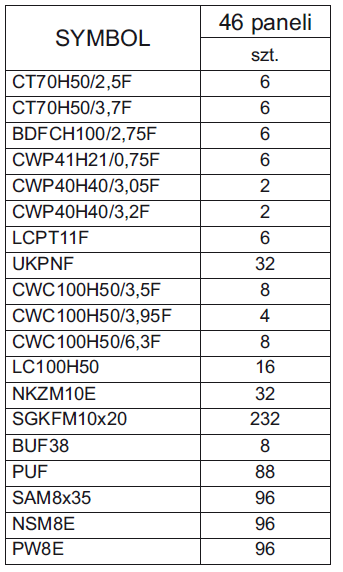 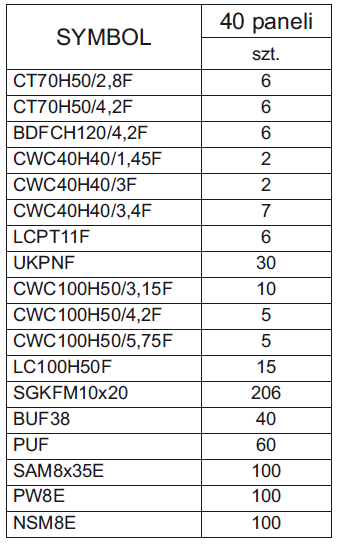 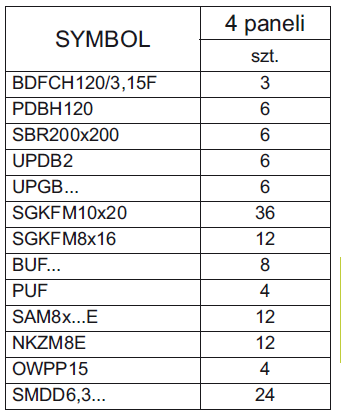 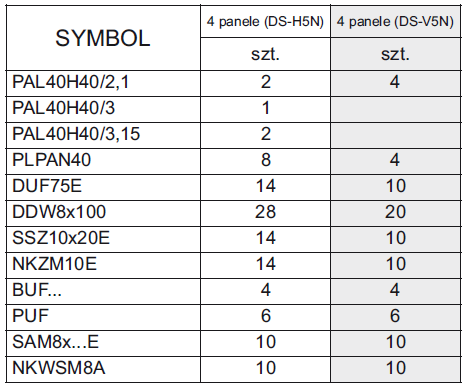 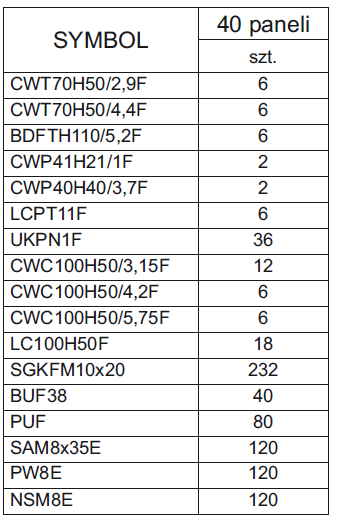 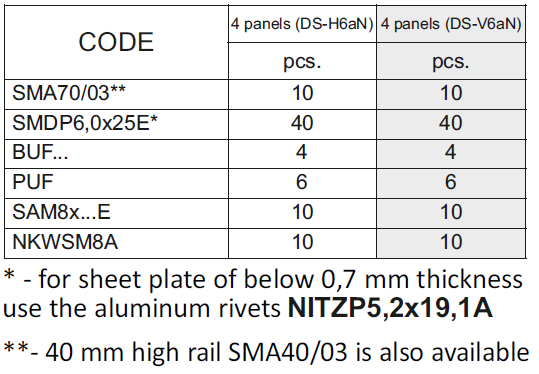 The list of the PV panel structure elements in the horizontal arrangement (DS-H5N) and in the vertical arrangement (DS-V5N). 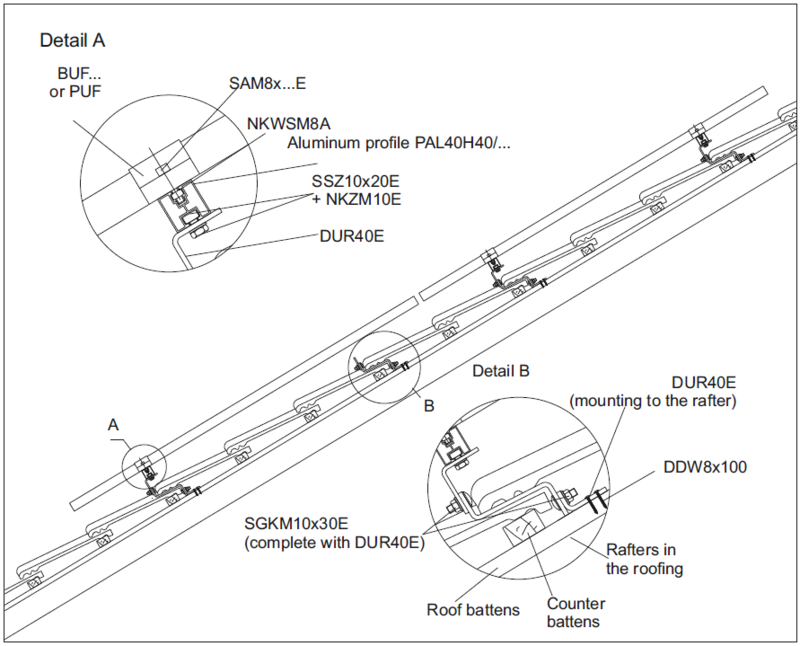 Mounting every second rafter. 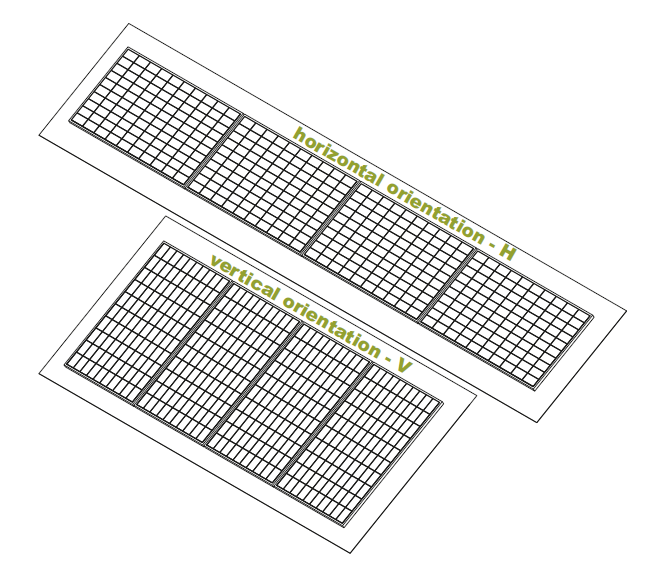 15 and 20° (maximum permissible unit load 244 kg/m²). 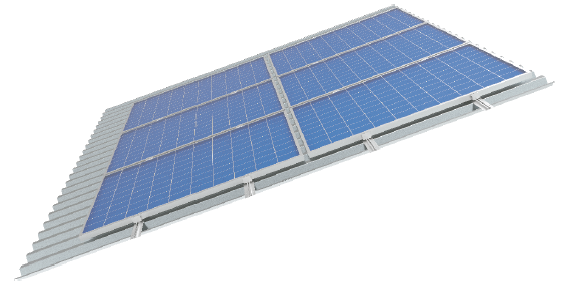 The panels can be mounted at angles of 5°, 10°, 15° and 20°. 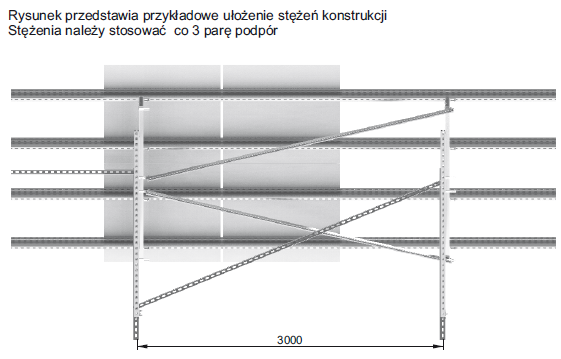 This system makes it possible to build east-west type structures. 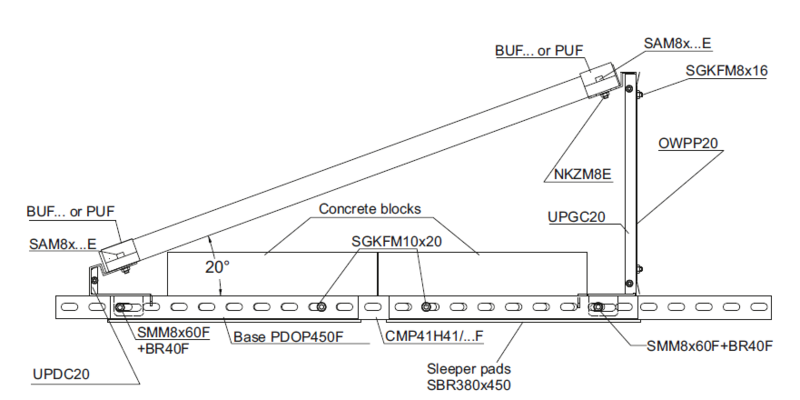  (maximum permissible unit load 550 kg/m²). 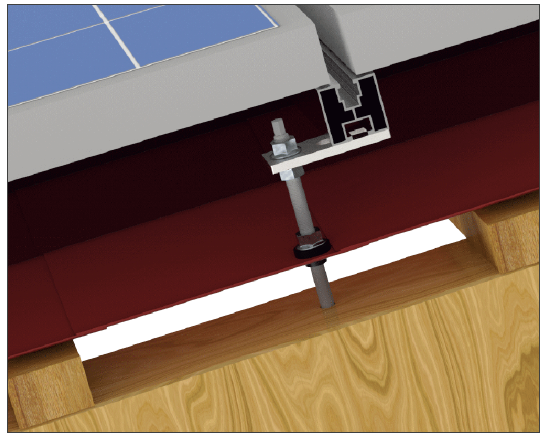 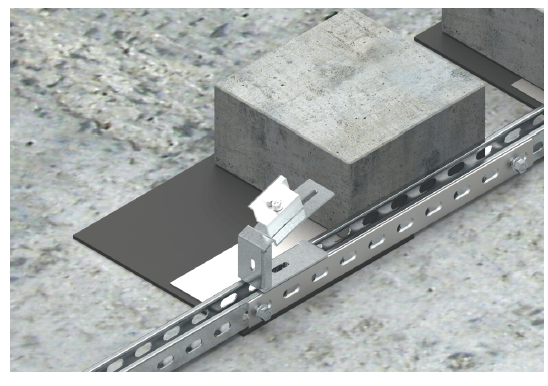 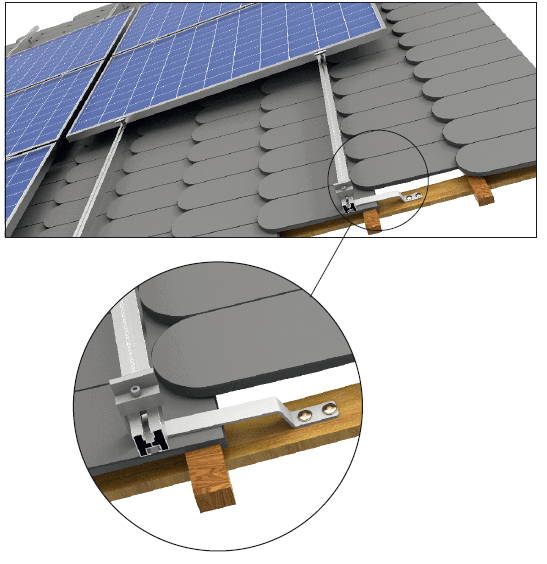 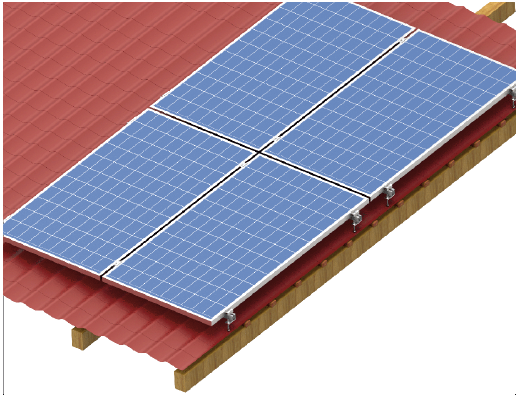 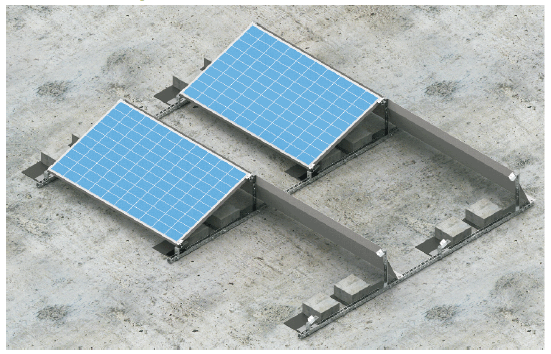 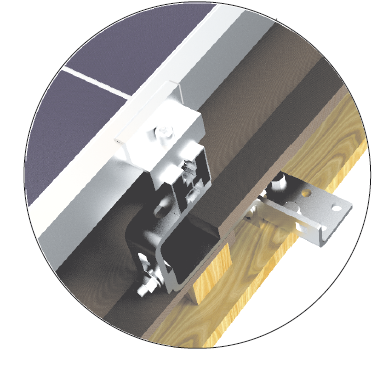 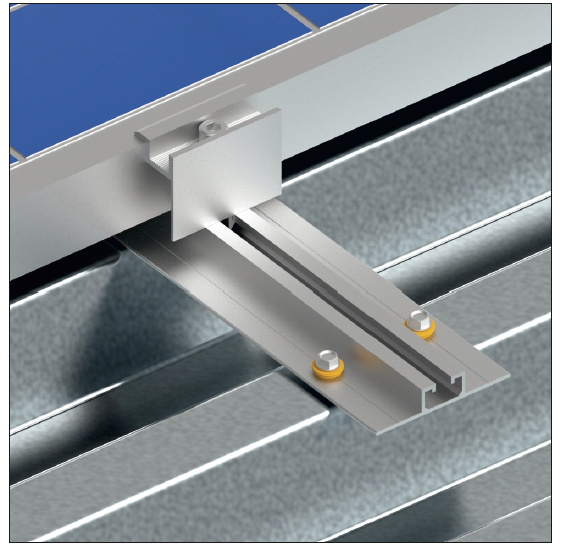 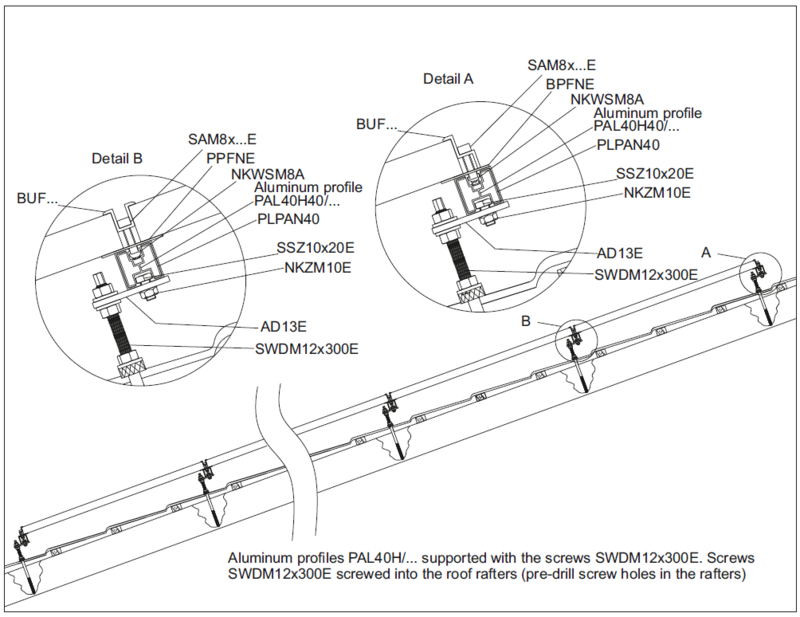 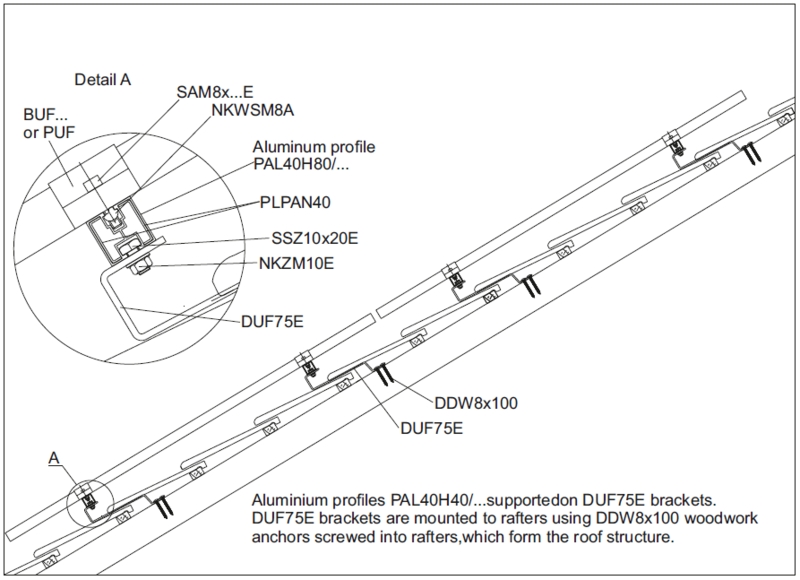 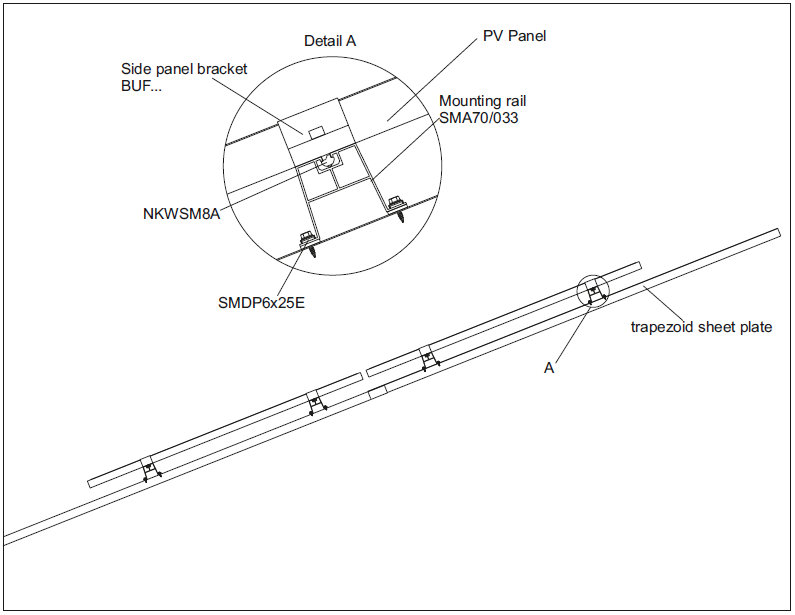 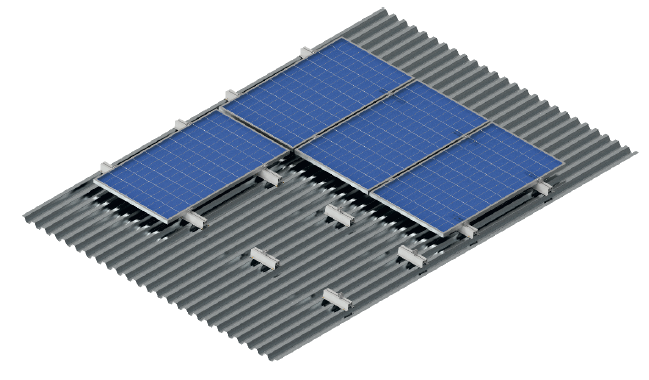  The DP-MHKN system allows installation on a roof with i.a. 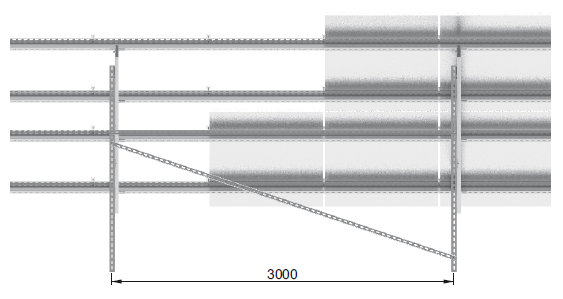 5, 10, 15 and 20°. 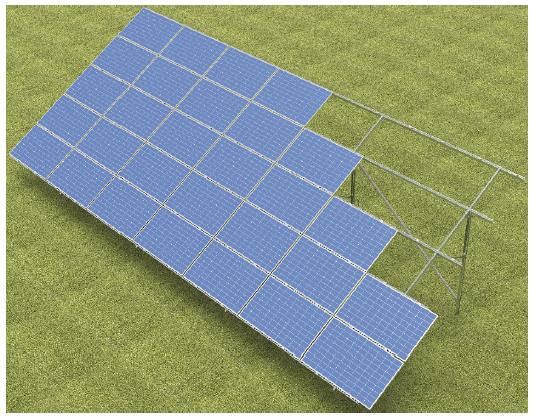 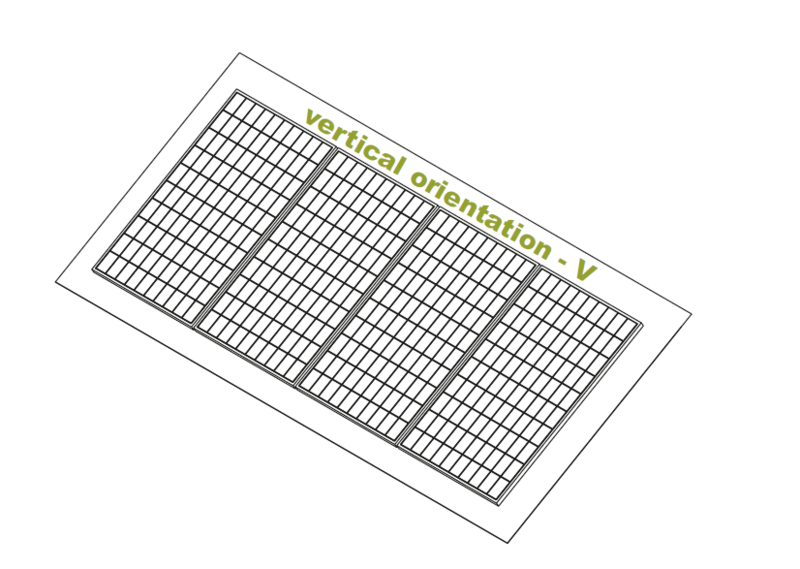 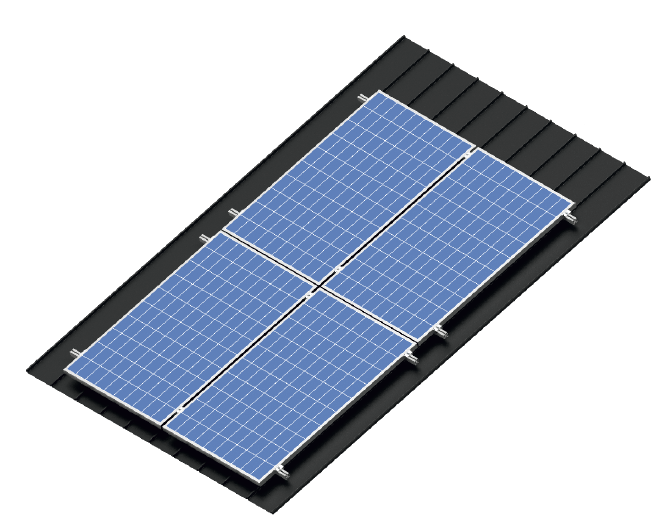 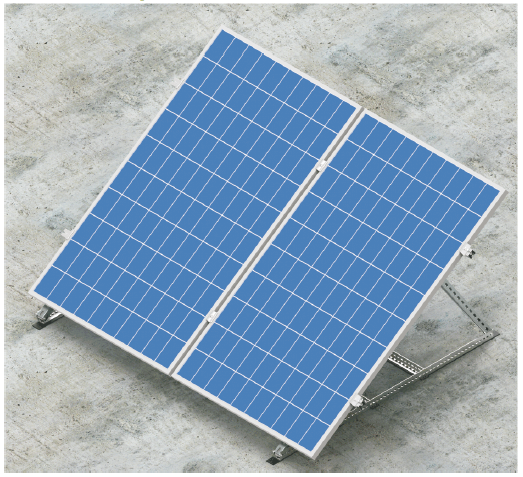 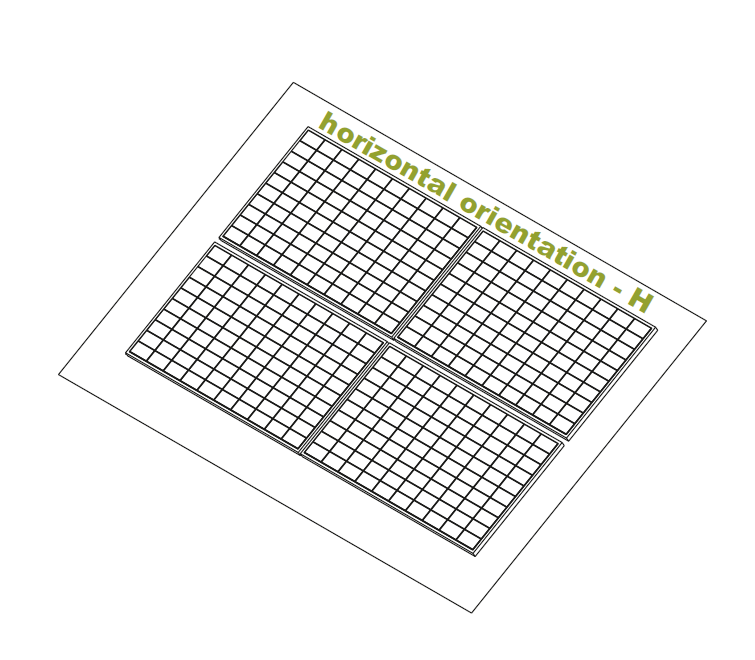 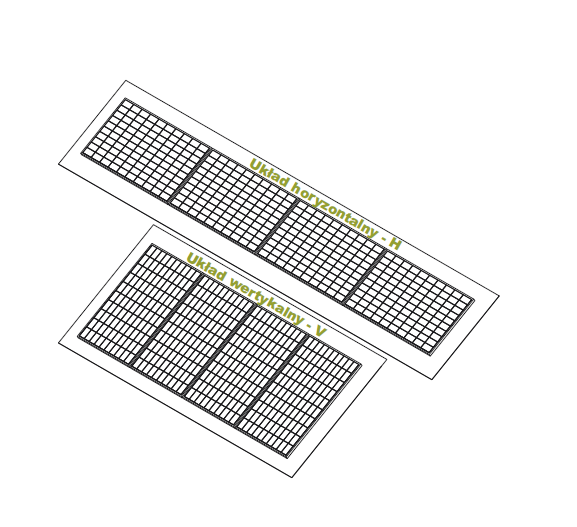 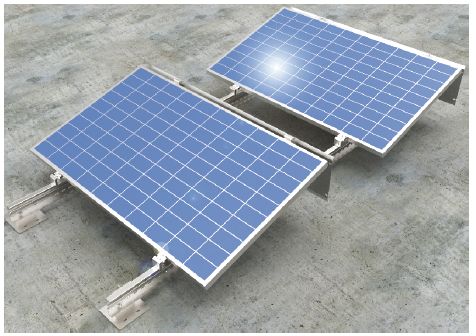 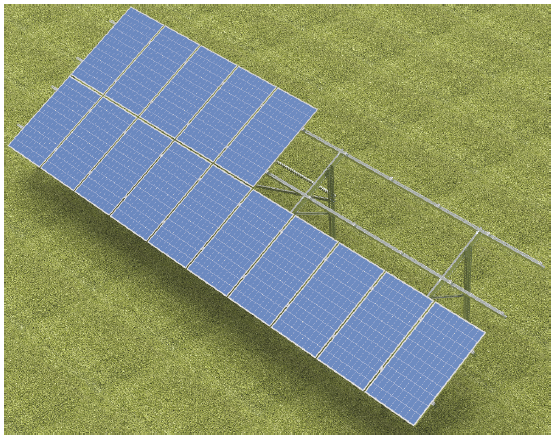 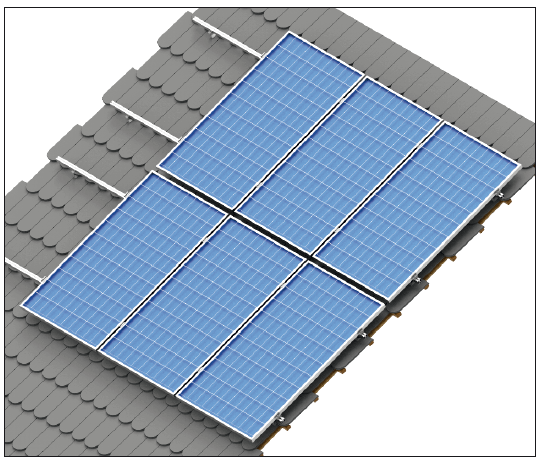 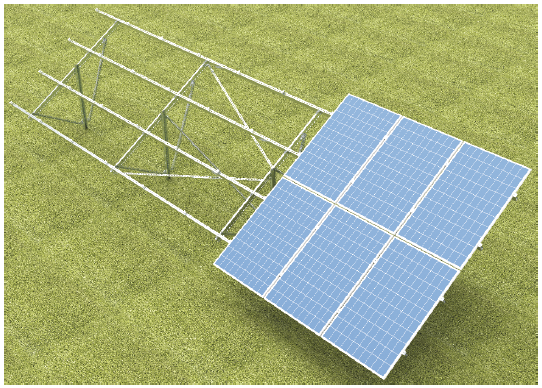 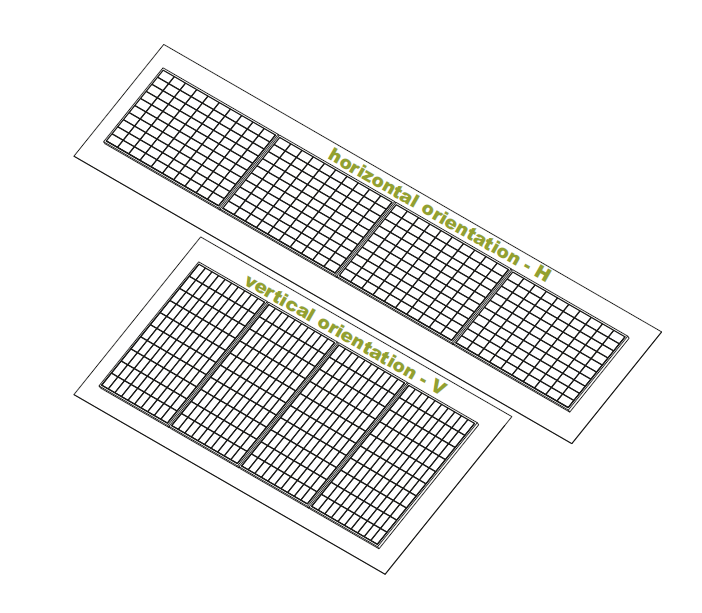 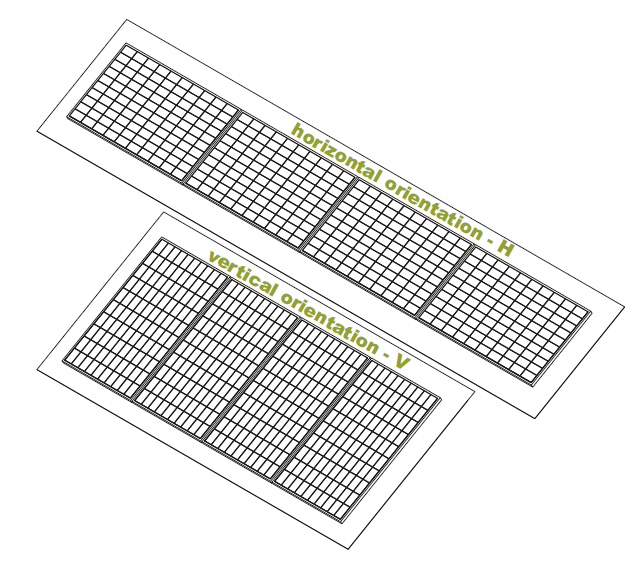 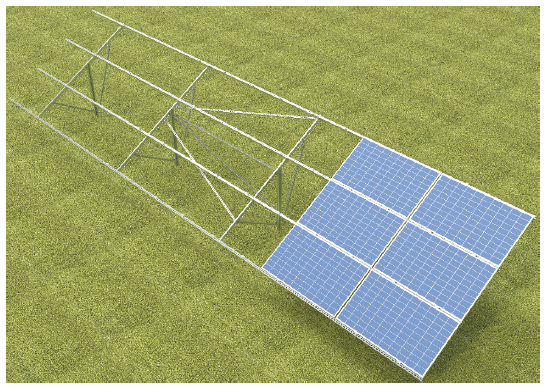 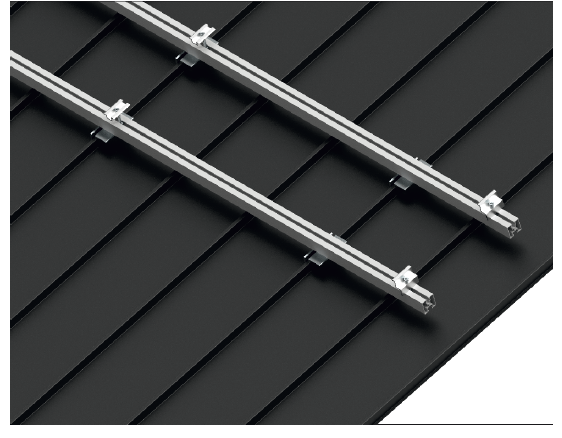 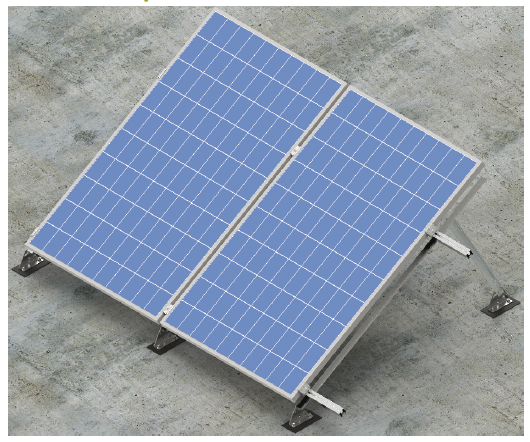 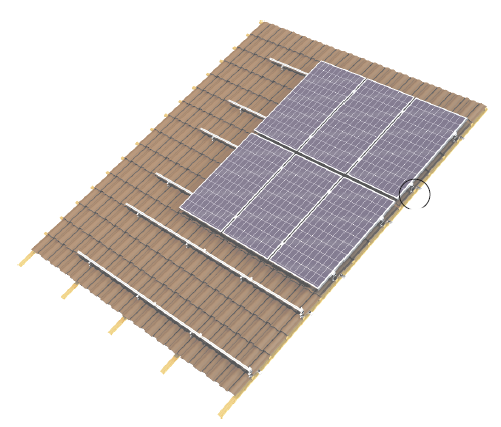 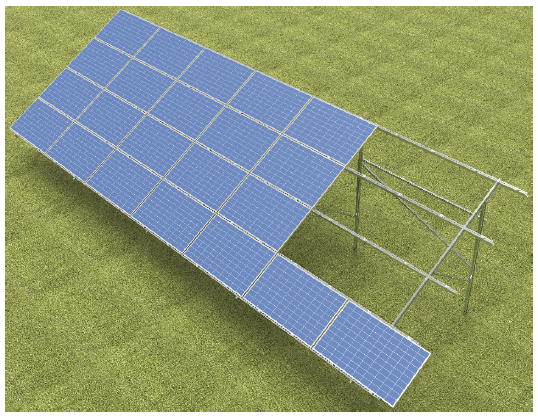 the horizontally-oriented PV panels at an angle of 5, 10,15 and 20°. 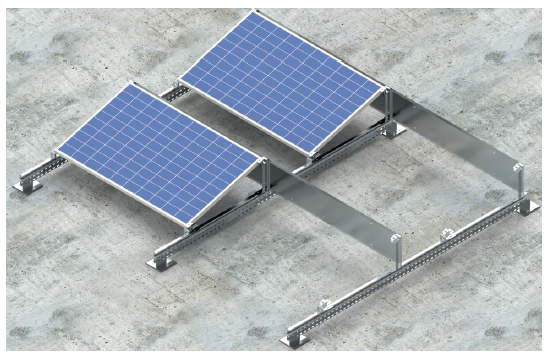 structure located under the feet of the structure prepared for the PV panels. 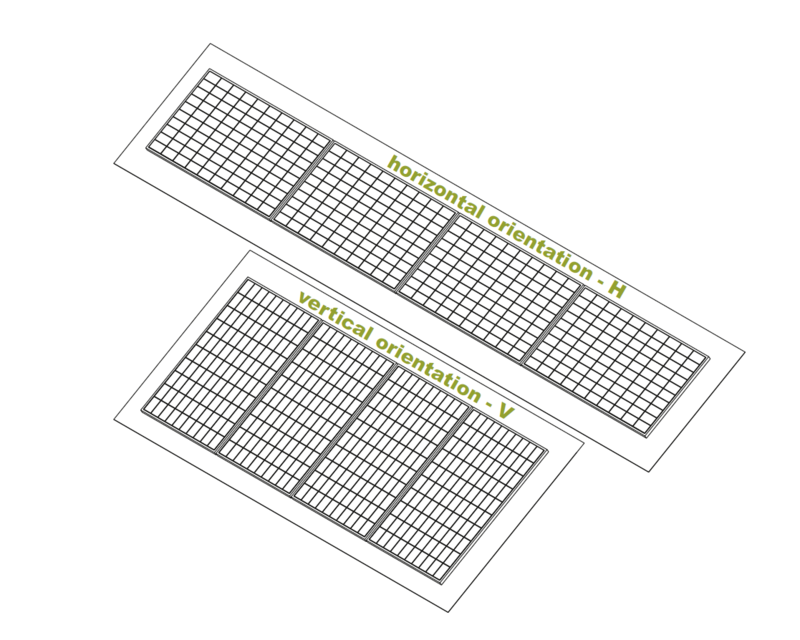 at an angle of 25, 30 and 35°, respectively. 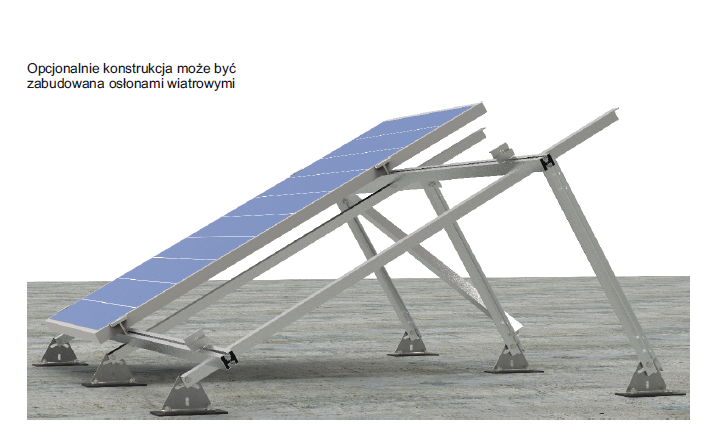 can be anchored directly to the roof.